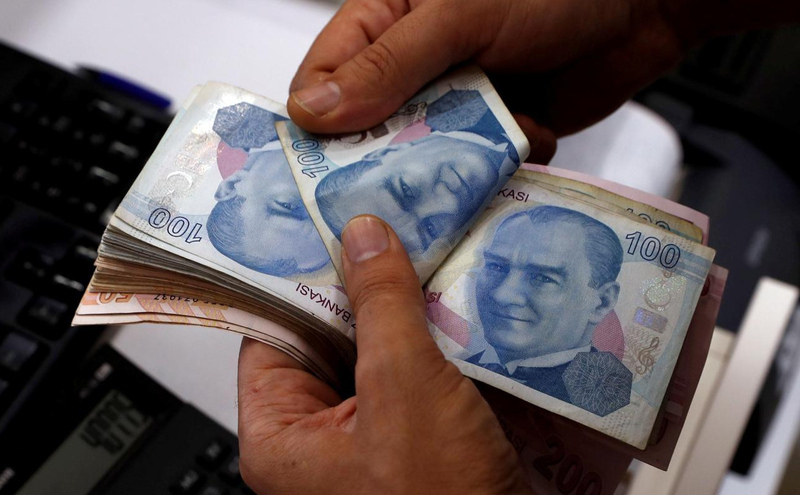 AKIPRESS.COM - Turkey’s lira slumped for a fourth day to a new record low, with the selloff spreading to other emerging-market currencies, after the country’s president showed no signs of backing down in a standoff with the U.S., Bloomberg reported. The lira tumbled as much as 11 percent against the dollar in thin trading in Asia, before trimming losses after the nation’s Banking Regulation and Supervision Agency stepped in to limit swap transactions on the battered currency. Turkey will announce measures to calm markets on Monday, according to Treasury and Finance Minister Berat Albayrak, Hurriyet newspaper reported.